We have been a family-run business for over thirty years. Our dedication to combining old world building principles, cutting-edge technology and continuing education allow us to provide you with the highest quality roofing systems on the market. Kelly Roofing is proud to provide free roofing inspections and estimates to repair or replace your home or commercial building. We offer high-quality shingle, tile and metal roofing options with numerous styles and profiles available in a wide color array. Kelly Roofing also offers our 24 Hour Emergency Roof Repair Response Program to the Southwest Florida region. Any time, day or night you can call our help-desk for immediate assistance. We don’t stop there you will receive a fully documented job process including digital photos, thermal imagery and log listings to help you file a claim with your insurance company. We service the Southwest Florida market including; Naples, Bonita Springs, Estero, Marco Island, Everglades City, Fort Myers, Cape Coral and surrounding areas. 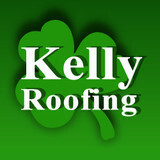 “Go Kelly, Go Green”"
ROOF SMART OF SW FLORIDA INC.
Campbell Roofing was founded in 1980 has multiple locations through out Florida. Specializing in all types of roof systems. Metal, Shingle, Tile, and flat. 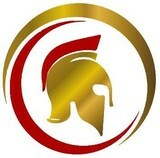 Re-roof, Repairs, New construction, Residential, Condos, and Commercial. We are one of the largest and most respected metal roofing contractors in Florida. Dura-Loc Roofing Systems has been in business since 1986 and we have installed over 9 million square feet of roofing systems in Southwest Florida. As a State Certified Roofing Contractor, we are constantly training our staff with the latest roofing system technologies, which keeps us competitive and constantly finding ways to save our customers time and money. As Southwest Florida hurricane veterans, we have applied all types of roofing systems, including shingles, metal panels, modified bitumen and single-ply systems. We have assisted residents in Fort Myers and surrounding areas in their time of need by getting emergency work done on their roofs and by ensuring quality workmanship and timely installations as we understand that the stress and burden of the destruction of your roofing system can be devastating. My name is Daniel Matajira, and I am an Engineer/Insurance claims specialist with Double G Construction. I sincerely hope that you can benefit from this information. Hurricane Irma came through our community causing Billions worth in damage. With so much money at stake, as involved with the insurance home restoration industry, we have seen injustices to and by all parties involved: Uninformed policy holders, insurance companies refusing to pay for damages, and corrupt contractors. We've found that many people are not even aware they have damage to their property. We've helped numerous homeowners by working with their insurance companies to replace damaged roofs, siding, gutters, as well as the repairs of interior damage/mold that has occurred due to Irma Often times, the Insurance Restoration Process can be tedious and frustrating, especially when you’re not working with a professional that is knowledgeable in the Field. While the insurance restoration process is sometimes confusing and irritating to deal with, there are procedural steps that can be taken to assist you in receiving fair compensation If you’ve previously filed a claim and you were denied coverage, or if the insurance company only agreed to pay for partial repairs, call us for a second opinion. If damage is found beyond the original agreed to scope of loss, We will call your insurance company for a re-inspection. If they disagree or refuse to pay for everything we feel you are entitled to, We will then request that a different adjuster re-inspect your home. If they still refuse to pay for something they legitimately should, we can then have an arbitrator act as a mediator. We will be present at every meeting to point out the damage and to protect your interest We have the labor force to complete your project in a timely fashion, and will start installation as soon as materials are available to be shipped Double G Construction is a local general contractor with extensive experience in the insurance restoration industry. We've been working in the insurance restoration and construction field for over 13 years. We are HAAG Engineering certified storm damage inspectors We assure prompt, honest communication and quality materials/installation/warranty.Helping others with fair compensation and quality workmanship is our passion and our obligation to give back to our community,we hope we have the opportunity to work for you! Our company specializing in high wind roofing applications offering extended manufacturer warranties in Naples, FL since 1995. Roof Solutions is a BBB A+ rated & accredited business and has more than 9 years of experience with a long list of satisfied customers. Impeccable results and an eye for detail exemplify the quality of our work. We proudly serve North Fort Myers, FL as well as the other surrounding areas. Roof Solutions is fully licensed & insured and guarantees all of our services. If one of our services is not done right for whatever reason, we will come back, fix it and make it right! When you are in need of excellent Fort Myers roofing services, call Aztec Roofs Inc. We can help you with anything from serious repairs to new roofs. At Aztec Roofs, Inc. we know that the roof of your home is one of the most important investments you'll make. We ensure that any job we do is completed to the highest standards and in a timely fashion. 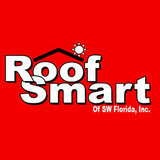 Give us a call today and let us help you with your roofing needs in the greater Fort Meyers and Naples, FL area! We are proud of the quality of our roof repair and replacement services that we offer. MilBar Construction & Roofing Inc.
Hello, and welcome to MilBar Roofing. We are an expert Florida Roofing contractor. The staff at MilBar Roofing has been providing roofing services to central Florida for over 20 years! We perform both Residential and Commercial new roof or re-roof jobs. We work with shingles, tile, cedar shake, metal, or flat roofs. We perform tile roof cleaning & painting, and install roof coatings. We also provide inspections, repairs, and consulting services. Take a look at why you should choose MilBar Roofing for your roofing job. Then check out the quality roofing products used for your home or business, and pictures from some jobs. Amelio Del Buffa's dream of producing exceptional, artisanal clay brick building materials in Tuscany, Italy emerged in 1953 when he founded SOLAVA. Since then, SOLAVA has been providing stunning Roman Pan clay roof tiles, clay face brick walls, clay brick pavers, ceiling tiles and terra cotta interior flooring for pre-eminent architects, builders, homeowners, restorations, universities, commercial buildings and government institutions. Welter Construction LLC is a window installation contractor serving the Naples, FL area since 1971. Services include Roof Installation, Roof Replacement, Roof Repair, Storm Damage, Replacement Windows, Window Installation, Vinyl Siding, Soffits and Fascia, Door Installation and Door Replacement. Gulf Western Roofing and Sheet Metal was founded in Naples, Florida, in 1999 by Joseph K. Lamb, Jr. It is during this time that he sensed a need in the fast-growing Southwest Florida area for a contractor who was both familiar with high-quality roofing work and based in the local area. Since 1999, we have stood above other Florida roofing companies due to our skilled workmanship, fair business practices, superior customer service and professional project management. From repairs and re-roofs to new roof construction, we’ve got the experience, knowledge, and results customers can rely on for their residential or commercial roof. It’s been well over a decade since Gulf Western Roofing began installing roofs in South Florida, and in that time, the company has built a reputation for providing quality professionalism, service, and support in a manner seldom seen anywhere. 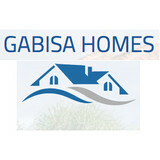 GG Construction is a Naples based residential and commercial exterior renovation and restoration company. Our services include, roofing, siding, windows, gutters and storm damage restoration. As an environmentally conscious family focused company, we take great pride in building long term relationships with our clients. Our mission is to serve our customers with premium workmanship, great service and professional integrity. Roman Roofing Inc. with over 50 years of combined experience 'under our roof' is proud to continue a tradition of exceptional customer service in Southwest Florida. Over time, we have learned that providing our customers with high quality products, superior craftsmanship and industry leading warranties is the best way to set ourselves apart from other roofing companies. We take pride in developing strong and lasting client relationships which is why over two thirds of our business is referred to us by existing customers! Our Mission is to become your roofer for life! There's A Reason Montgomery Winslow Has Been Around Since 1949, While Other Roofing Companies Close Down Within A Few Years. ALL Of My Workers Are Employees—NOT Subcontractors— And Are Absolutely Meticulous. My Labor Warranty Is 10 Years—DOUBLE The Industry Standard. And I Don't Request A Dime From You Until You're 100% Satisfied With Our Work. You don't become the longest-lasting roofing company in Southwest Florida by cutting corners. What do roofing companies in Lely Resort, FL do? Your Lely Resort, FL roofing contractor can install a new roof or repair an old one, as well as repair and replace gutters. Good roofers in Lely Resort, FL should be able to promptly inspect roofs and gutters to assess damage after a natural disaster or other event, and give you an estimate for the necessary roof repair immediately. Some Lely Resort roofing companies specialize in specific types of roofs, such as tile or metal, so make sure the one you are interested in works with the materials you have or desire. Find a Lely Resort roofer on Houzz. Narrow your search in the Professionals section of the website to roofing companies in Lely Resort, FL. If you’re planning a large-scale project, find other professionals on Houzz who can help get the job done. Here are some related professionals and vendors to complement the work of roofing & gutters: General Contractors, Specialty Contractors, Siding & Exteriors, Door Sales & Installation, Garage Door Sales & Installation.